Avoid Secondary Damages - Call SERVPRO Today! 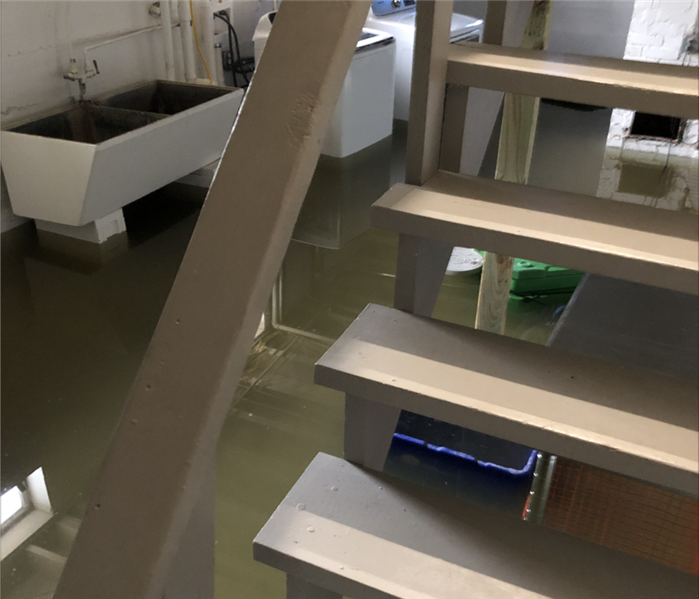 If a water loss damages your home or business in Oklahoma City, OK it is important to call the pros at SERVPRO of North Oklahoma City as quickly as possible. Water that is left sitting for too long can cause secondary damages, such as mold, to your property. Call our SERVPRO team today! 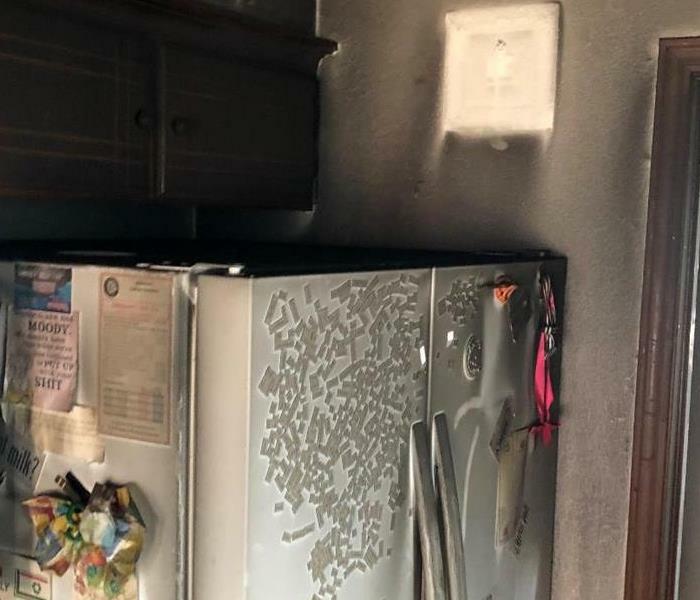 This kitchen suffered fire damage which left the whole room filled with smoke and soot damage. SERVPRO of North Oklahoma City assessed the damage and began the soot and smoke removal process. After we were done, the kitchen looked as good as new! 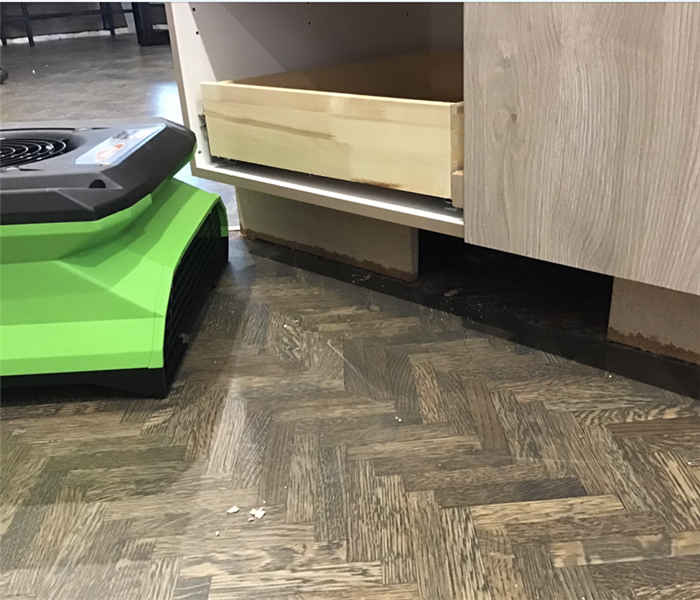 No size water loss is too large for our SERVPRO of North Oklahoma City team to handle. If your home or business experiences water damage, call our SERVPRO team today. Our team has the expertise, experience, and equipment needed to properly clean up and restore your home back to preloss conditions. SERVPRO of North Oklahoma City responded to this local business after a recent storm hit. 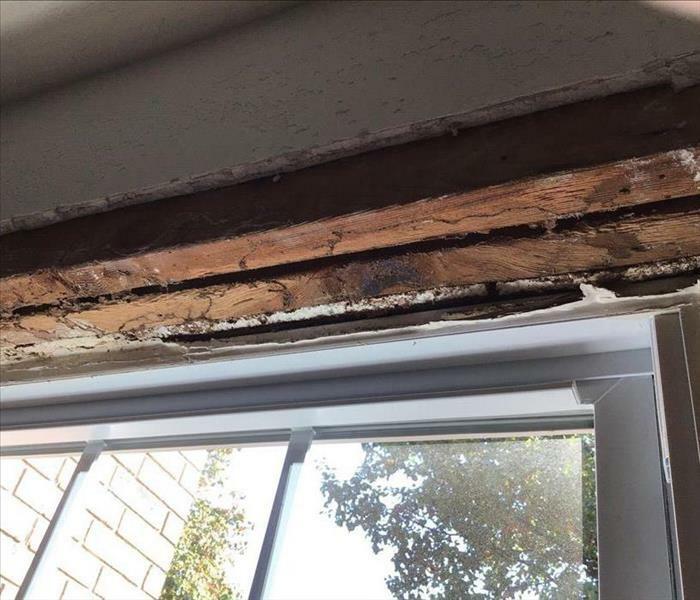 Their building suffered major water damage and secondary mold damage. 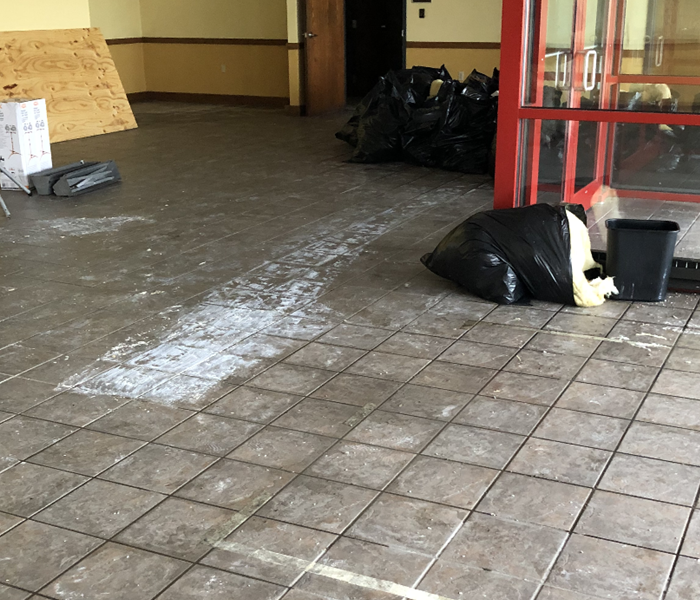 SERVPRO removed all damaged materials, treated the mold, and restored the business back to its pre-damaged condition. If you experience a water loss in your Oklahoma City, OK home, our SERVPRO of North Oklahoma City team is only one call away! Our crew is always available for immediate response. Call us for your water damage cleanup and restoration needs today! 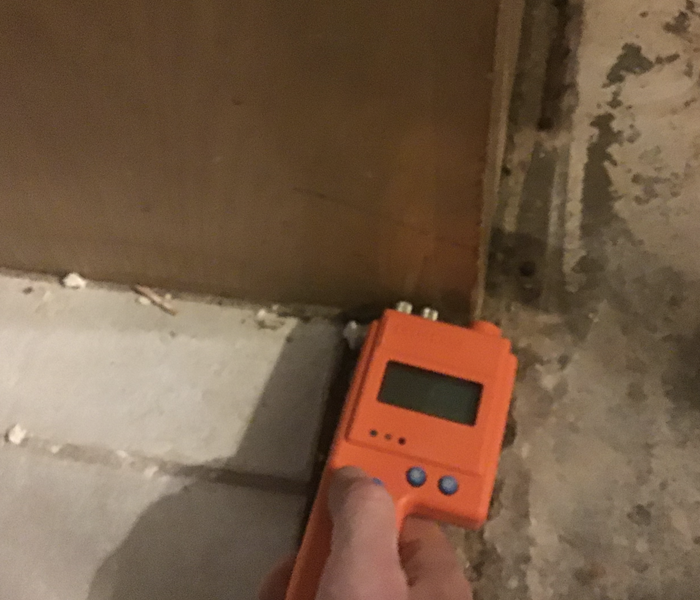 Checking moisture levels is an important part of the water damage restoration process. We will make sure your building is dry and safe to enter. After we are finished, your business will look "Like it never even happened." 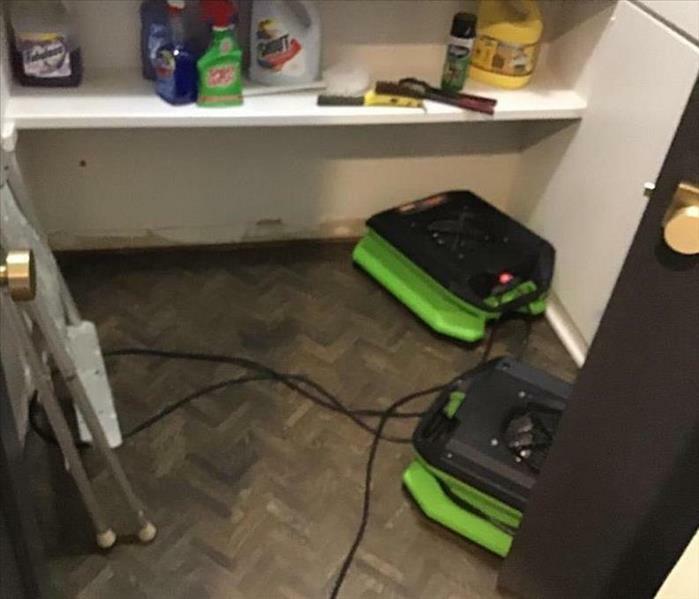 Our SERVPRO of North Oklahoma City team is hard at work after a local home in Oklahoma City experienced a water loss after the refrigerator slowly leaked water. Our crew is "Ready for whatever happens." Give us a call today! 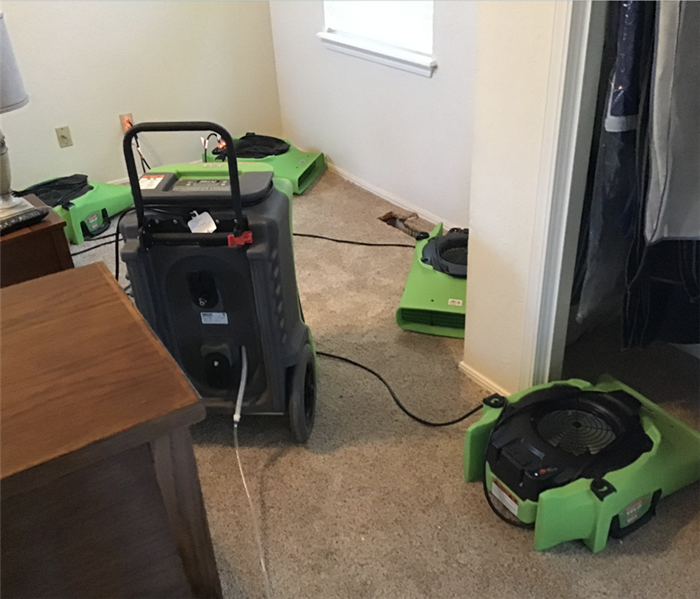 The air dryers are up and running during a residential water damage cleanup and restoration job in Oklahoma City. 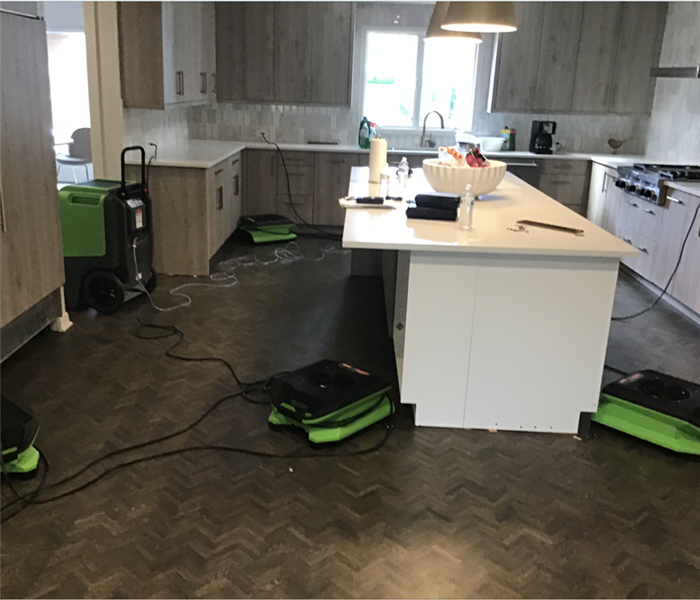 Our SERVPRO of North Oklahoma City team has the training, experience, and equipment needed to make sure your water damage is properly taken care of. This small business suffered water damage throughout their entire property. 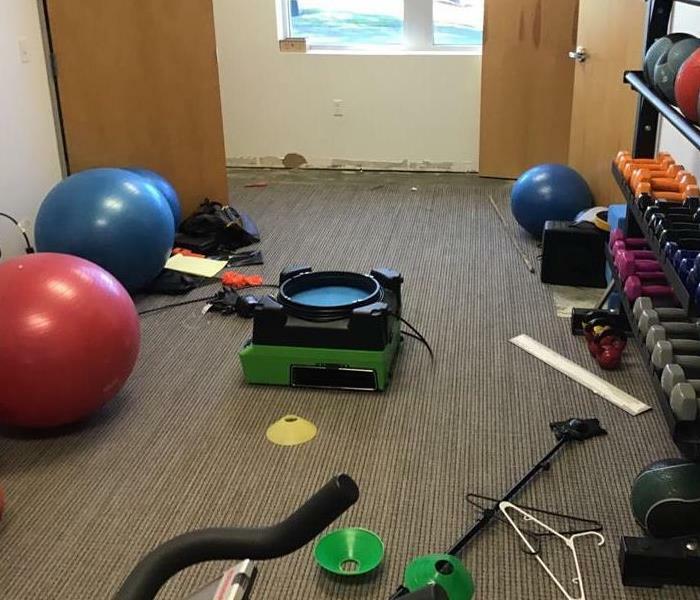 SERVPRO of North Oklahoma City was quick to extract standing water and place drying equipment. Give the company you can trust a call when water damage strikes! 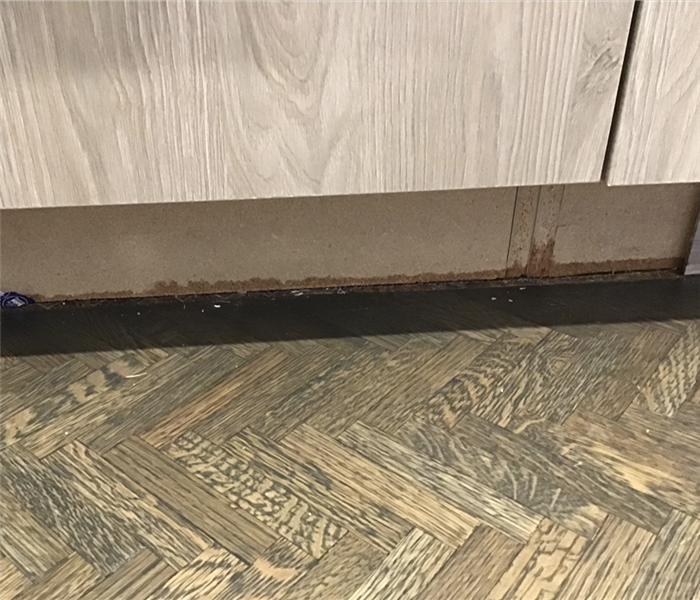 Our team recently received a call from a local property owner in Oklahoma City, OK, who had experienced a small water loss in their kitchen. Our crew quickly responded and got to work to make sure the water damage seemed "Like it never even happened." Time is of the essence when it comes to water damage. 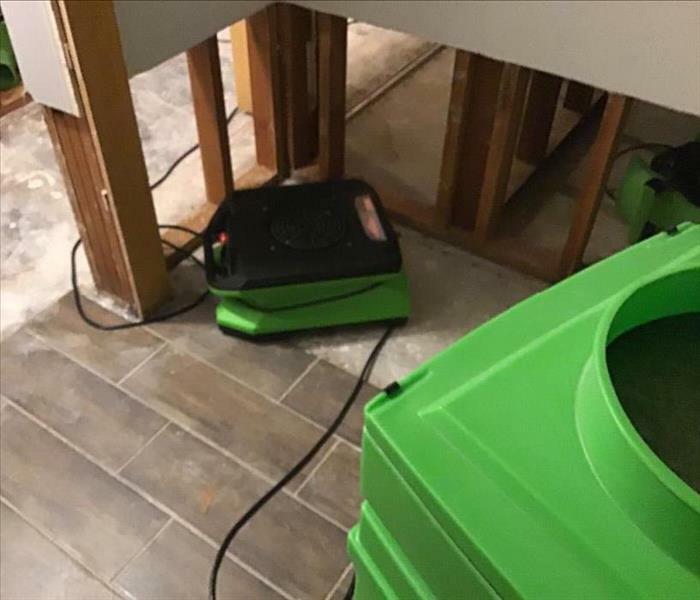 SERVPRO responded to this business owner quickly and began the extraction process within an hour of the call. This gym was dry and back to normal in no time! 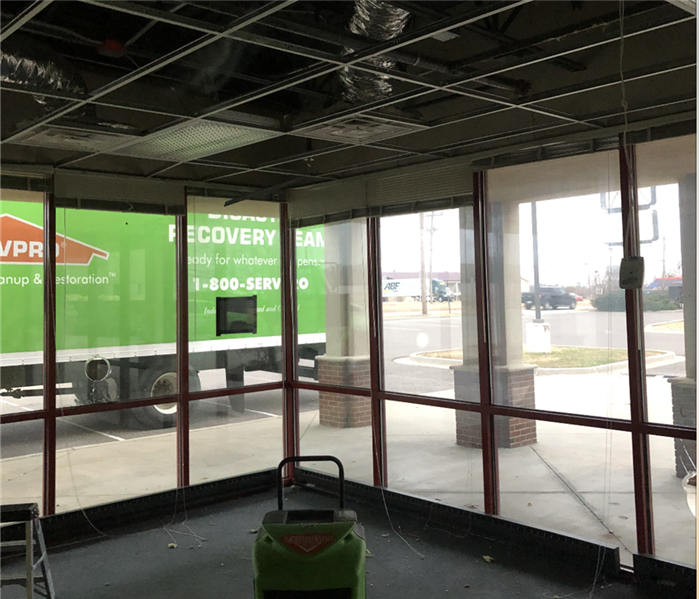 Call SERVPRO of North Oklahoma City for your water damage cleanup and restoration needs in Oklahoma City, OK. Our team is highly trained in water damage cleanup and restoration. If your home or business is damaged by a water loss, give us a call today! This small business suffered water damage throughout the property. SERVPRO of North Oklahoma City set up specialized drying equipment to get the business dry and back up and running. Give SERVPRO a call for all your water damage restoration needs. This commercial property suffered mold damage on a large scale. All the damaged wall had to be removed as you can see in this picture. 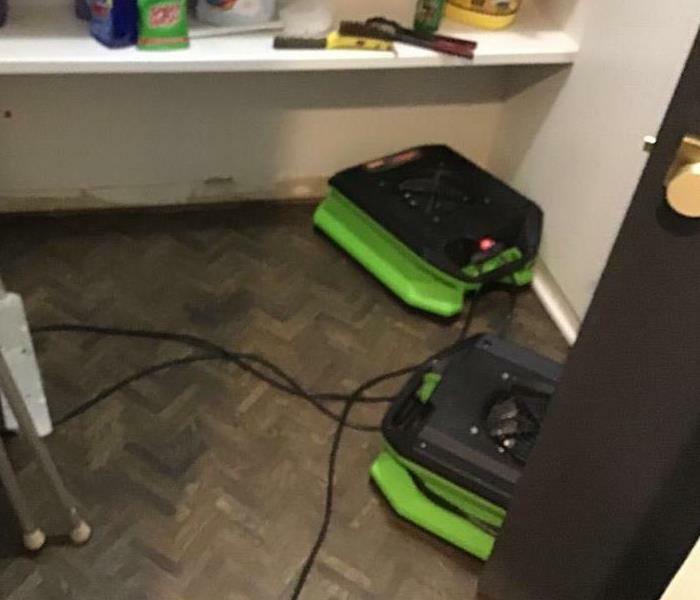 After SERVPRO was done, it was "Like it never even happened." If your home or business is damaged by inclement weather, do not hesitate and give our SERVPRO of North Oklahoma City team a call. Our team is highly trained in storm and flood damage restoration. 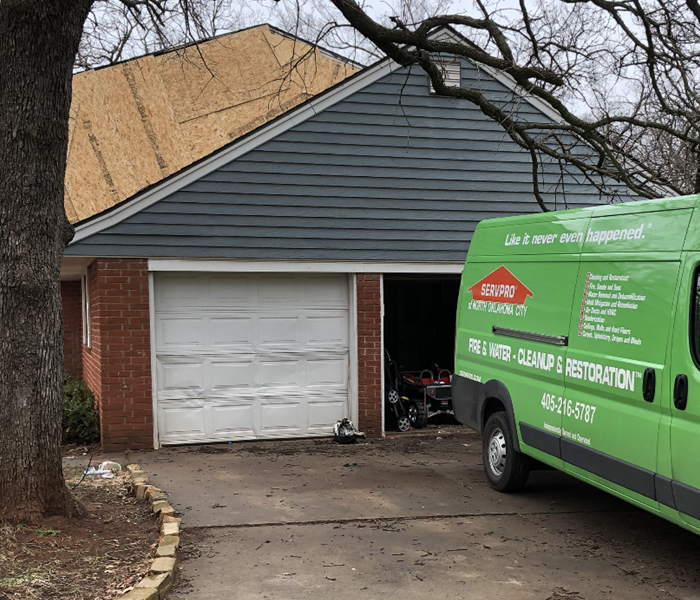 If extreme weather damages your home or business like the one pictured above, call our SERVPRO of North Oklahoma City team today. Our team is always available for immediate response. When disaster strikes, our team is only one call away! 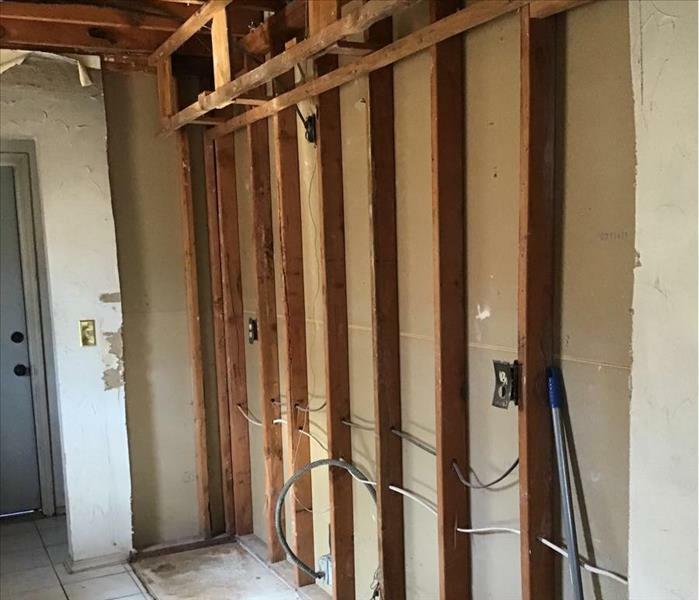 This home experienced water damage after recent inclement weather in Oklahoma City, OK. Our crew quickly responded and got to work to make sure that the home was taken care of. If you have any questions or are in need of an emergency service, give us a call today! SERVPRO of North Oklahoma City offers board up services to secure your home or business after a fire strikes. We will ensure looters and wildlife stays out of your home while the restoration process is taking place. When disaster strikes, SERVPRO of North Oklahoma City is always "Here to help." Our team is on standby 24 hours a day, 7 days a week, 365 days a year. If disaster strikes your Oklahoma City home or business, give us a call! A fire left this Oklahoma City, OK home filled with soot and smoke odor. SERVPRO of North Oklahoma City assessed the damage and started the restoration process immediately. 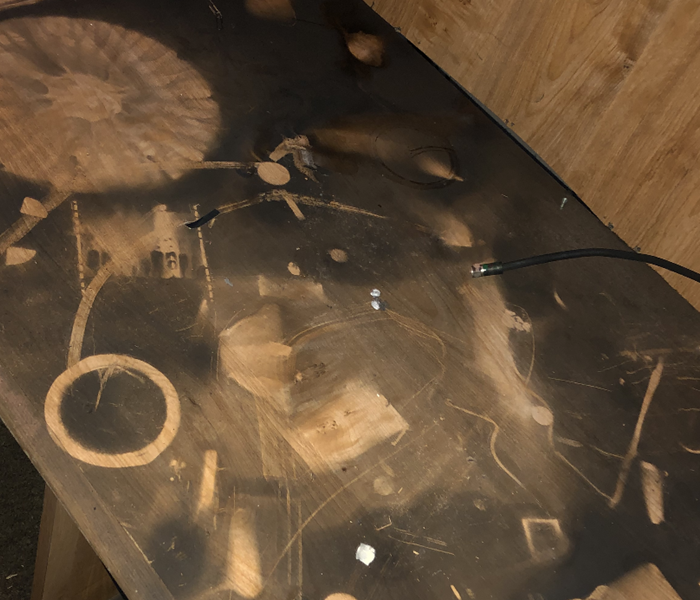 After we were finished, it looked "Like it never even happened." Fire damage can leave your home filled with both soot and smoke odor as well as water damage from the firefighting efforts. You can trust SERVPRO of North Oklahoma City to restore your home or business back to its pre-damaged condition after a fire strikes. There is no such thing as a loss that is too large for our SERVPRO of North Oklahoma City team to handle. If severe weather damages your commercial property in Oklahoma City, call our SERVPRO team for your cleanup and restoration needs today! 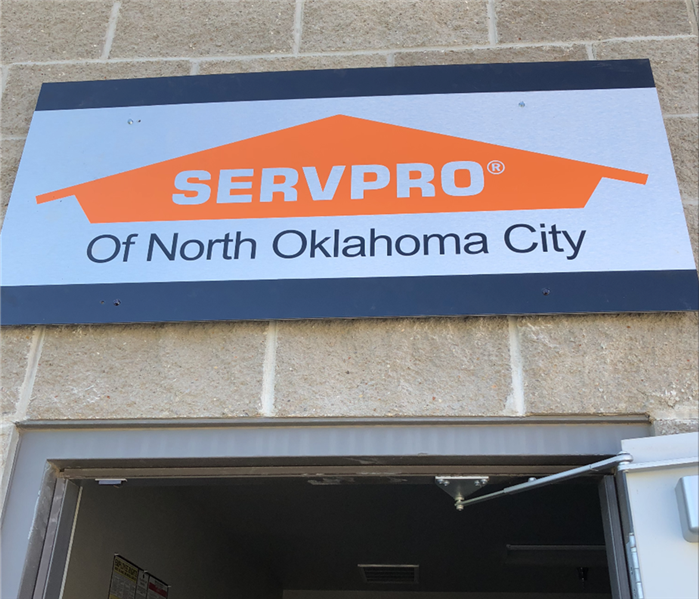 Our SERVPRO of North Oklahoma City team recently responded to Oklahoma City, OK home that had experienced water damage after heavy rains caused a leaked through the roof & ceiling. If your home or business is damaged by recent storms, call our SERVPRO team today! 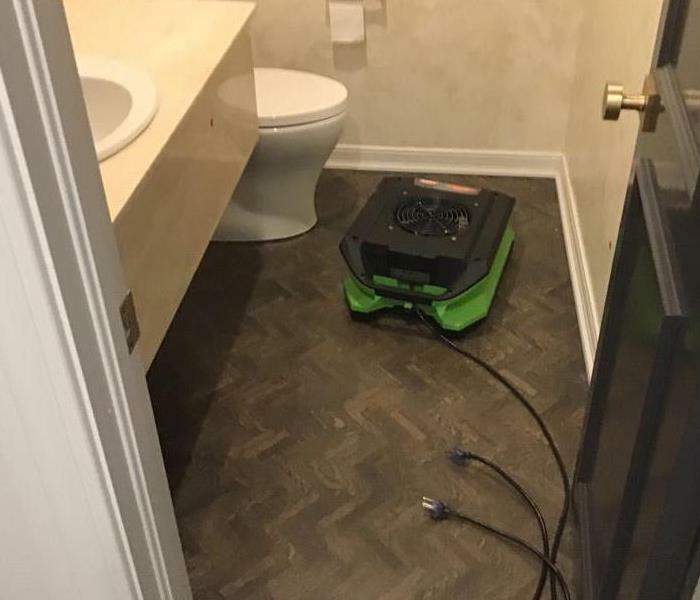 Can you spot the water damage? 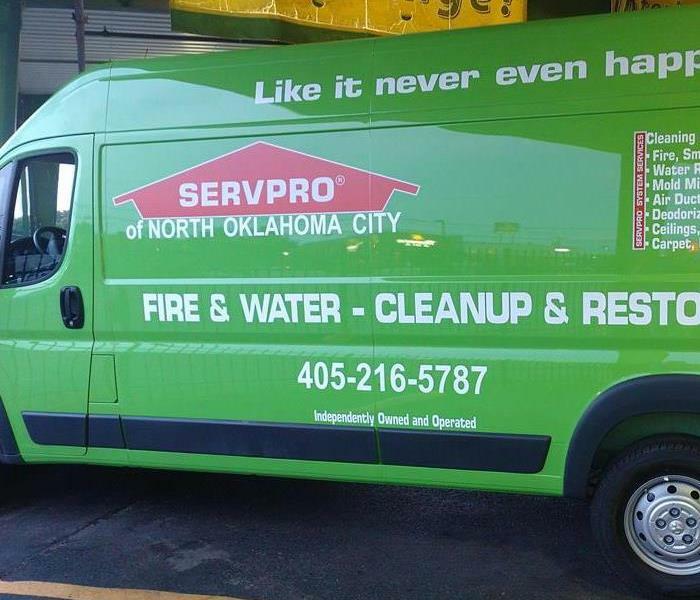 SERVPRO of North Oklahoma City can and our team is always "Here to Help." Our team will be there from start to finish to make sure your loss is "Like it never even happened." 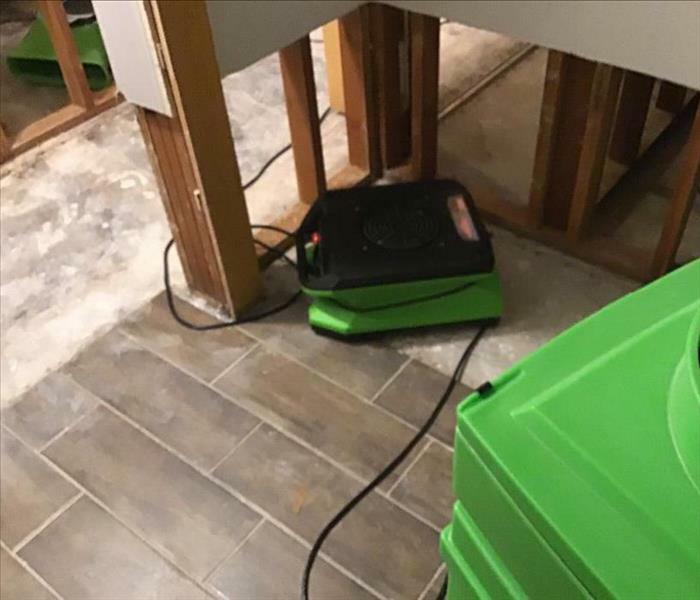 Water damage restoration and cleanup is no problem for our SERVPRO of North Washington County team to take care of. Our team has the training, experience, and equipment needed to properly restore your home back to preloss conditions. 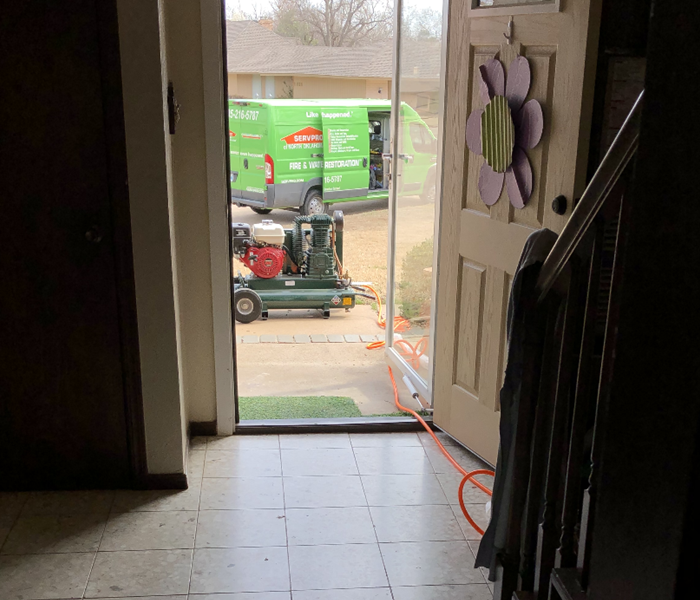 Our SERVPRO of North Oklahoma City crew in action and working hard on a commercial job! There is no such thing as a loss that is too large for our SERVPRO team to handle. Give us a call today! Mold can be incredibly toxic and cause many serious negative health effects. 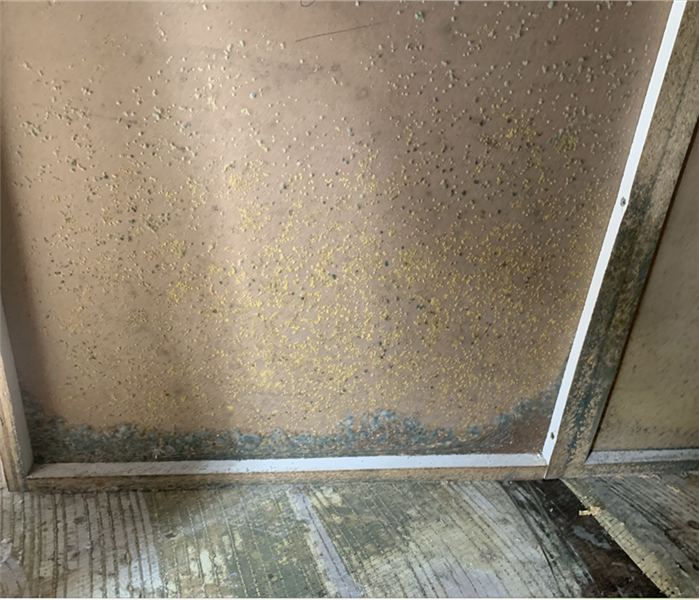 If you think you might have a mold problem, it is crucial to call a certified mold remediation company, such as SERVPRO of North Oklahoma City, as quickly as possible. 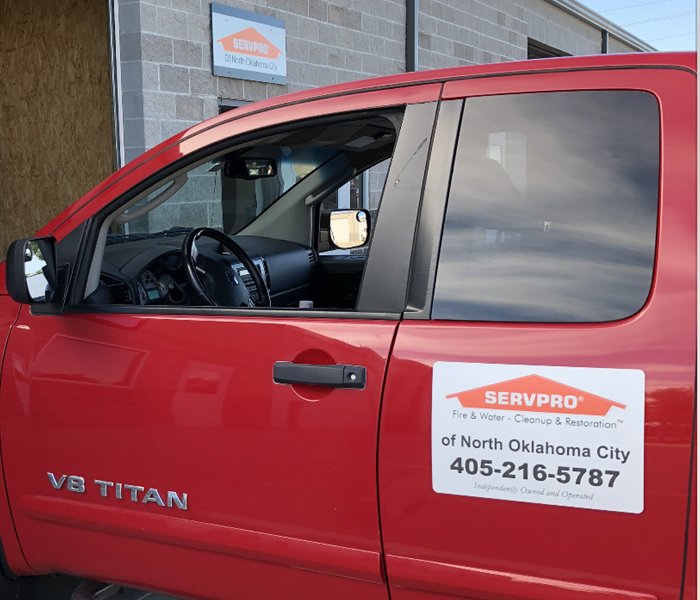 If your residential or commercial property experiences fire, mold, or water damage, give our SERVPRO of North Oklahoma City team a call. Our crew is always available. If disaster strikes, our team is only one call away! Our 2017 Ram Promaster 3500 is built for service. With this vehicle, we are able to respond to any size disaster. If you need us, remember we are only one call away and always available to respond.